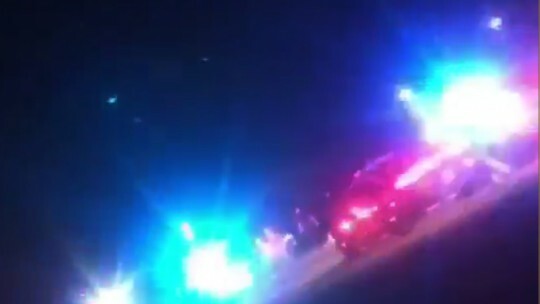 Shot hit a deputy’s vehicle after gunfire erupted during a wild 10-mile long police pursuit early Sunday morning through Pensacola. The deputy’s vehicle was struck by gunfire at least twice during the pursuit that ended on Nine Mile Road. There were no injuries reported. Christopher Michael Chancey, age 29 of Ten Mile Road, was charged with four counts of aggravated assault on a law enforcement officer, possession of a firearm by a convicted felon, two counts of firing a weapon from a vehicle, fleeing and eluding, resisting arrest and driving with a suspended license. Brittany Wagner was charged with four counts of accessory before the fact aggravated assault on a law enforcement officer. A deputy attempted to stop a 2003 Dodge Dakota driven by Chancey at the intersection of Jackson Street and Old Corry Field Road after an improper lane change. The vehicle accelerated away, passing other vehicles in no passing zones. The deputy turned off his emergency lights and discontinued the attempted traffic stop. A second deputy observed the vehicle slide out of a parking lot and turn northbound on New Warrington Road at a high rate of speed. The deputy attempted a traffic stop as someone fired a weapon at him from the vehicle. The deputy reported seeing the muzzle flash and hearing the gunfire, at which time he swerved his patrol vehicle to avoid being shot. 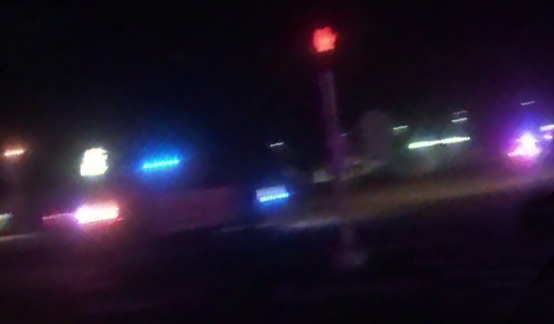 Multiple deputies joined in the chase. At Fairfield Drive and South Dakota Street, additional shots were fired at deputies. Chancery then turned on W Street and then onto Pensacola Boulevard. On Pensacola Boulevard, the vehicle continued northbound in the southbound lanes. Deputies continue to purse the vehicle as it turned eastbound onto Nine Mile Road. 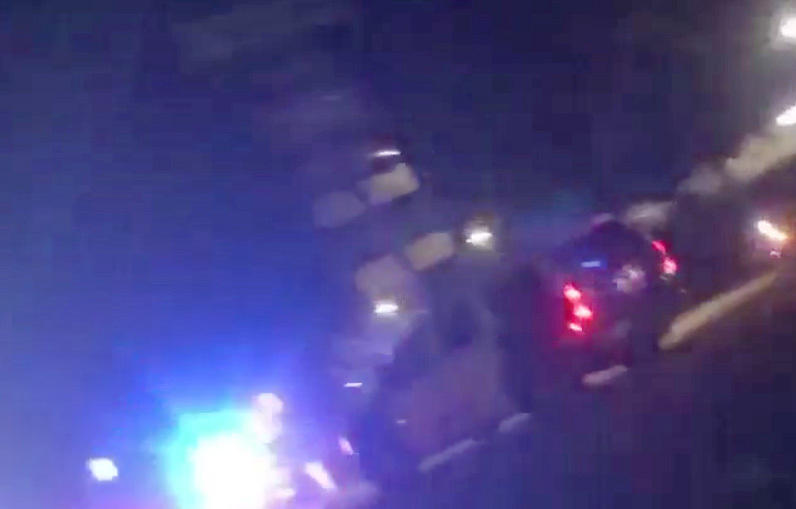 At the intersection of Nine Mile Road and Old Palafox, a deputy ended the chase by using the PIT-maneuver. The driver, later identified as Chancey, ran from truck. He was taken into custody at gunpoint. A search of the vehicle revealed numerous bullet holes in the rear glass of the vehicle and a hole in the tailgate. A 9mm hangun was found on the ground outside the driver’s door of the pickup with an empty magazine and chamber. A second unloaded 9mm magazine was on the driver’s seat. The passenger, Wagner, told deputies that they had left a party in Brownsville and got into an argument. She said Chancey accelerated away from deputies and fired several shots. Wagner said she handed Chancey a backpack that she knew to contain a firearm during the pursuit. Chancey remained in the Escambia County Jail Thursday with bond set at $526,000. Wagner was held with bond set at $400,000. Chase images are from a low quality reader submitted video by Grant Vinson for NorthEscambia.com, click to enlarge. These people could not be more stupid. I know Brittany and she has 2 small children she is leaving behind. All for what? Drugs. That’s it. just a reminder all these people are good until they aint good no more !!!!!! ..Thank God for the folks at ECSO..24/7/365…A miracle no one was killed during this crime..he should never be on the street again..she should get plenty of jail time as well for passing him another weapon..we have too many outlaws all over Esc. county..Only the grace of God saved so many that night.. I was on hwy 29 getting off on 9 mile when all of a sudden they were behind me and I had no where to go due to the cement barriers along the exit ramp. He almost hit me. This was the worse night of my life. I thought I was fixing to die. I hope he stays in jail. It is now deadly just to go out of your house, single vehicle crashes, police chases, drugs and guns everywhere. Good luck Pensacola. What in the world is going on around here? Have people just gone freaking crazy, or what??? This is getting too scary! The culprits are 1. Drug heads and 2. They are stupid. They should have been charged with attempted murder. Thank You Lord for keeping our LEO”S safe from these creatures, Amen. I think some people just do not like their freedom. How stupid can you be??? I sure hope he was worth it girl. I sure hope neither have any children to leave broken hearted, like they have done to their families. Put this scum in prison for life, these felons get out of prison and continue to prey on a law abiding society, the same goes for his accomplice…human plagues.